Composing Temple Sunrise is a coming-of-age memoir about a 26-year-old songwriter’s journey across America to find his lost muse. Triggered by the Great Recession of 2008, Hassan El-Tayyab loses his special education teaching job in Boston and sets out on a cross-country adventure with a woman named Hope Rideout, determined to find his lost muse. His journey brings him to Berkeley, CA, where he befriends a female metal art collective constructing a 37-foot Burning Man art sculpture named “Fishbug.” What follows is a life-changing odyssey through Burning Man that helps Hassan harness his creative spirit, overcome his self-critic, confront his childhood trauma, and realize the healing power of musical expression. In this candid, inspiring memoir, singer-songwriter Hassan El-Tayyab of the Bay Area’s American Nomad takes us deep into the heart of what it means to chase a creative dream. After experiencing multiple losses (family, home, love, job, self-confidence) , El-Tayyab sets out on a transcontinental quest that eventually lands him in Nevada’s Black Rock Desert. His vivid descriptions capture both the vast, surreal landscapes of the Burning Man festival and the hard practice of making art. 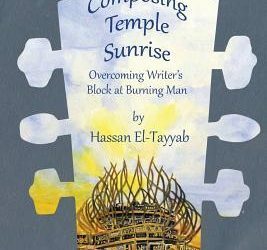 Hassan El-Tayyab is an award-winning singer/songwriter, author, teacher, and cultural activist currently residing in the San Francisco Bay Area. 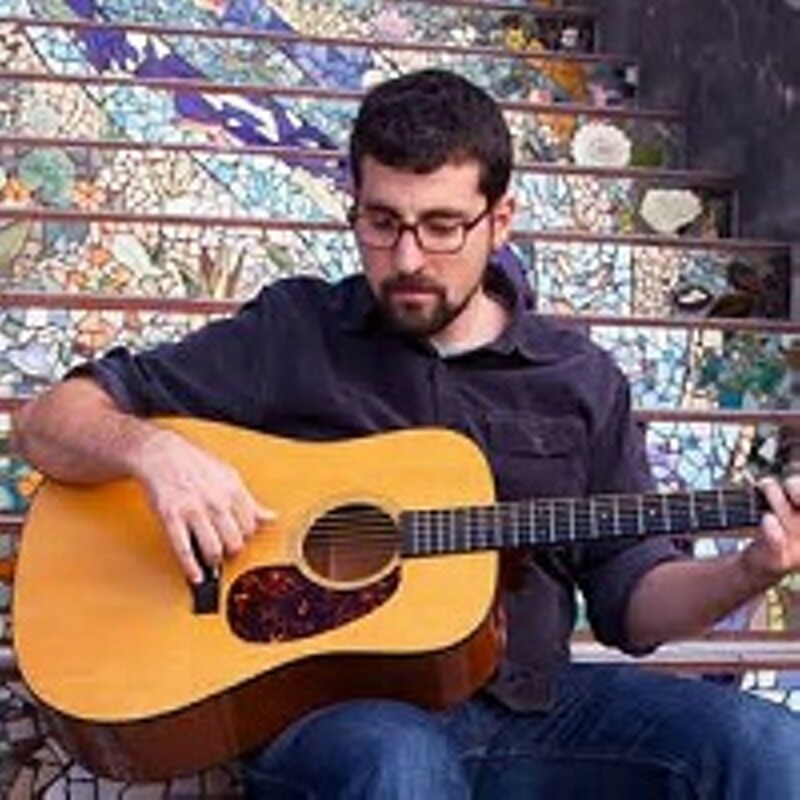 His critically acclaimed Americana act American Nomad performs regularly at festivals and venues up and down the West Coast and beyond and he teaches music in the Bay Area. I have to confess: before I read this book I’d never heard of the author or his band American Nomad, nor did I have a clear picture of what Burning Man actually is. I mean, I’d heard of it, of course, who hasn’t? I just didn’t have correct information. As it turned out, none of that mattered, and I began reading Hassan El-Tayyab’s memoir with no expectations except that I would ‘meet’ a new person within its pages. I always feel odd about reviewing memoirs, as if I’m critiquing the author’s actual life, and not just the way they chose to depict it on paper (real or virtual). Forgive me then, for nitpicking. This memoir could have used another pass by a line editor or proof reader. Some of the grammar is a little ‘off.’ Despite that, however, I found myself thoroughly engaged, and I even managed to suppress my grammar-police tendencies. 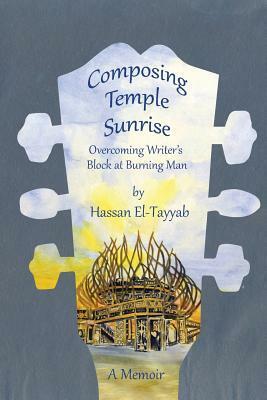 Composing Temple Sunrise is not an entire book about composing a single song. Rather, it’s the story of the author’s journey from a place of frustration – having just lost a job that he was good at, though it wasn’t his true calling – and a series of losses that began in childhood, to a place where he could unleash the full force of his creativity. It is a fascinating study of both the creative process and in general, and El-Tayyab’s personal journey, and how the two intertwine. 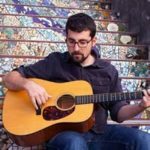 As a writer, improvisor, amateur musician (I sing, I’ve played the cello since childhood, and I and bought my first guitar last year, but so far, I only know how to tune it), I found everything he wrote about – from undertaking a cross-country road-trip just to do something, to waking up one morning with a whole composition (the song “Temple Sunrise” referred to in the title) in his head – incredibly compelling and truthful. While I was intrigued by the author’s experiences at Burning Man, and appreciated finally learning about what it really was, I found myself both yearning for that kind of conversion of creative energies, and also recognizing that I, a woman who believes ‘roughing it’ means staying in a hotel that doesn’t have room service or wifi, would not benefit from that specific event. But it isn’t about me, except in the sense that we, as readers, bring our own experiences and perceptions to every book we begin. It’s about Hassan El-Tayyab, and his journey, and I feel privileged to have shared it with him, even if it was only virtually, and after the fact. Whether or not you have creative pursuits, Composing Temple Sunrise is a fascinating glimpse at both the artist’s personality, and one artist specifically. Goes well with vegan pad Thai made with grilled tofu and your favorite craft beer.